The Ladies' Garment Worker Speaks Volumes | Analyzing the 8 year ILGWU Newsletter and finding the voice of the publication. Analyzing the 8 year ILGWU Newsletter and finding the voice of the publication. At the beginning of the 18th Century, The International Ladies’ Garment Workers’ Union formed and became one of the most fundamental women’s labor rights unions to fight dehumanizing and unsafe work conditions in the Garment Industry of New York City. One of the biggest historical changes for the gender in the workplace was prompted by the unfortunate Triangle Shirtwaist Factory fire of 1911. The women factory workers were supported by the ILGWU in their strikes against the factory in September of 1909 which fought more reasonable work hours and better pay. 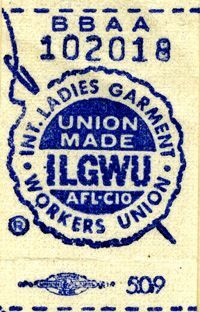 The efforts of the women factory workers and the ILGWU caused one of the largest work stoppages in the United States in November of 1909. After the “Rise of the 20,000” strikes, better pay and safer work conditions demands were met, as 50,000 new members joined the ILGWU in 1913. Starting out as representatives for mainly Jewish women and immigrants, by 1980 the ILGWU had 903 members solely in New York, although they were representing major cities throughout the U.S. such as Miami Beach, Philadelphia, Cleveland, Atlantic City, and Boston. 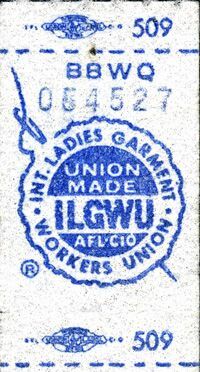 The ILGWU ended in 1995, but throughout their 95 years in commission, the ILGWU did more for the labor union movement that an average scholar would know. After looking through the Digital Commons ILR (Industrial and Labor Relations) from the Kheel Center at Cornell University, archival work for the ILGWU has been beautifully preserved. What I am left with it is the question: How did the volumes published by the ILGWU, through their official publication (The Ladies’ Garment Worker) between 1910 and 1918, establish the labor women worker’s voice as a persona in literature? And to add to that, how do we find and analyze that voice of that persona through digital humanities tools and practices? All Volumes and Issues were transcribed from the Digital Commons IRL from Cornell University.